Search Results for "santo mollica"
Posted on November 5, 2013 at 6:38 pm. 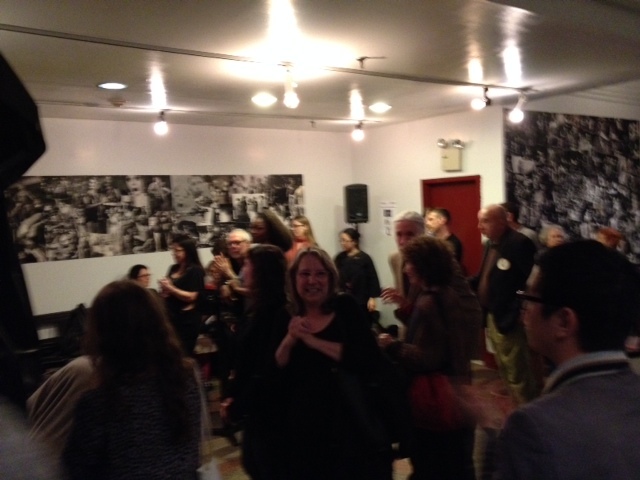 Tuesday October 22nd the East Village Community Coalition held their annual celebration and fundraiser at La Mama Art Space. The party featured Santo & Margaret Mollica as the 2013 Outstanding Pigeon honorees for their continued service and commitment to the East Village. At the event, we launched our newest campaign for Formula Retail Restriction. The goal is to evaluate and recommend methods for managing new chain retailers that hope to locate in the community. The first step is gaining community input on the current state of chain stores within the East Village. To find out more about the campaign see the Formula Retail Restrictions page. EVCC is also holding a community workshop Tuesday, November 19th from 6-8pm. 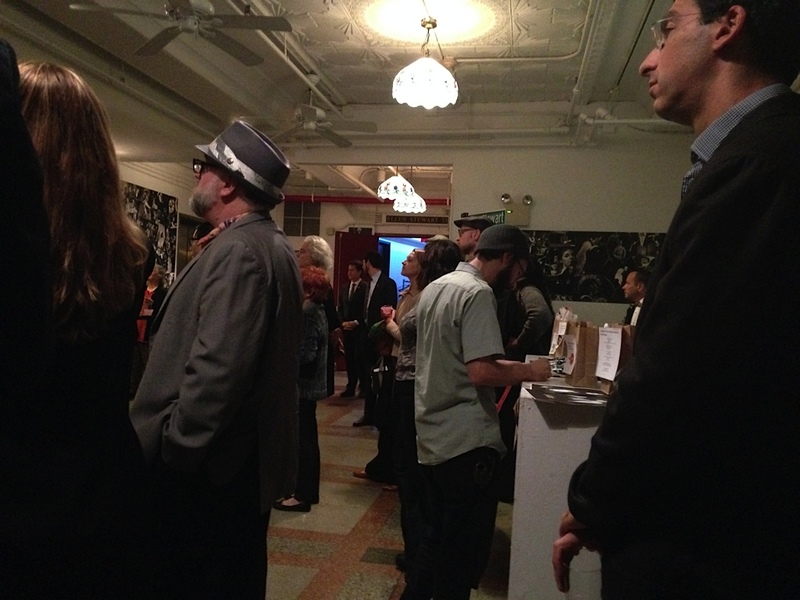 EVCC’s Annual Gala: Celebrate and Preserve our Neighborhood! Posted on October 5, 2013 at 3:59 pm. 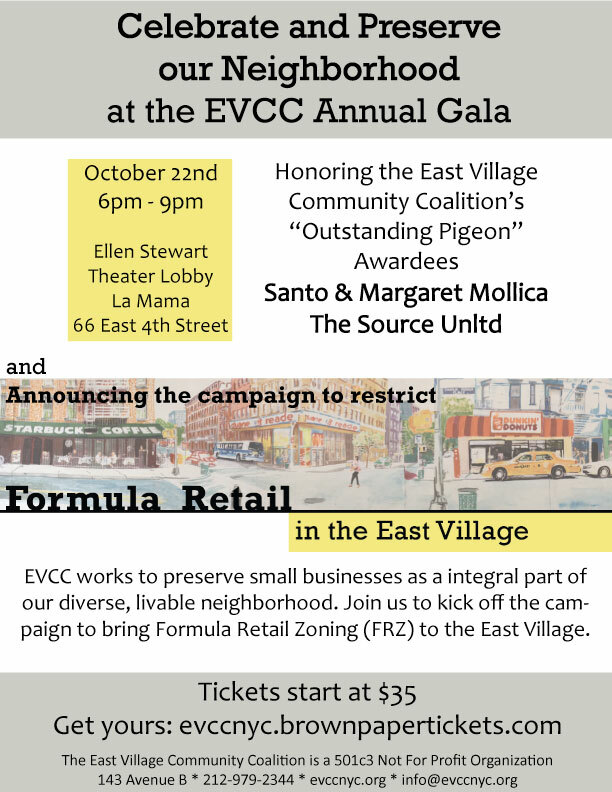 The East Village Community Coalition invites you for an evening of cocktails, entertainment and local fare at our annual fundraiser as we honor local achievements. We honor Santo and Margaret Mollica of The Source Unltd, 2013 “Outstanding Pigeon” Awardees Santo Mollica has served the East Village for more than thirty years at the Source Unltd, a small print, copy, and office supply shop on East 9th Street. A long-term resident, he and his wife Margaret offer friendly and professional services needed by neighbors, artists, musicians, and nearby businesses. Announcing the campaign for Formula Retail Zoning! EVCC is working to preserve small businesses as a integral part of maintaining our diversified, livable neighborhood. Other cities and towns have successfully adopted specialized zoning, requiring stores to be unique and protecting neighborhoods by limiting or outright banning chain retailers from locating there. Join us to kick off the campaign to bring Formula Retail Zoning (FRZ) to the East Village. Your generosity supports historic preservation, better transportation, and retail diversity in our community. 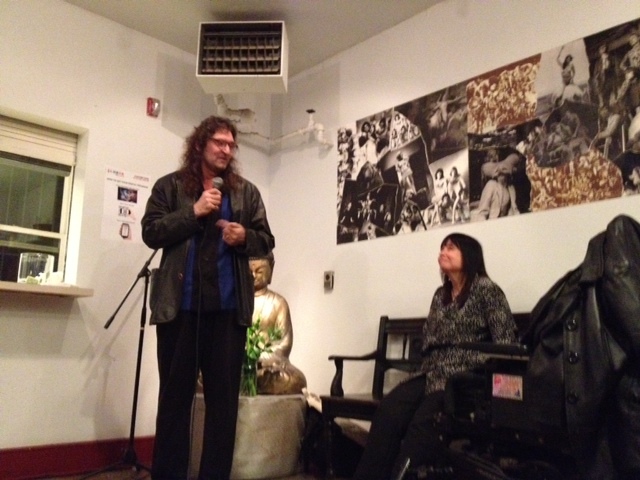 Learn about our ongoing work in the East Village at www.evccnyc.org. Can’t attend? Click here to make a donation.